God of War is many things, not least of which an exercise in how not to engage with your child. But Boy aside, what makes Santa Monica Studio’s single-player behemoth special is its determination to reward the player for looking around. Our time is precious. Many of us spend far too much of it doing something that, if we’re lucky, we find just about tolerable. Many more spend hours fretting about the bills, the rent, the geopolitical climate, the greater meaning of why we’re here, the laundry. And then there’s that newest series on the BBC. Oh, you’ve not heard of it? It’s in its fifteenth series now, and you simply must watch all several thousand episodes. And what’s that new film? The one with her out of thingy, and whatsisface? Better book tickets for that. Books? Yes I would love to borrow a copy of your newest recommendation—chuck it on that pile of paperbacks over there and please ignore the fact that I am openly weeping. It’s amazing to think that we can still find time for games. Even more amazing is the fondness with which the gaming community holds the length of a game. 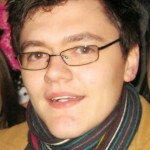 As Greenman Gaming’s laughable-if-slightly-sinister cost per hour calculator showed, there are people out there who are looking only for a time-sink. As we tumble through life, hurtling inexorably towards death, there are those among us who are looking for hundreds of hours in which to farm experience and collect nik-naks in fields. And I say that from a position of experience. My earliest gaming experiences are entirely of the browser-based RPG variety which excelled in busywork that could pass evenings and exhaust an AOL dial-up connection. From ambling around the world of Runescape to battling innumerable waves of monsters in Adventurequest, there was something about my pre-teens that found me wanting lengthy bouts of escapism. Other pre-teens were most likely to blame. But then life takes those hours, puts them in neat little packages and sends them to a shareholder. With such little time, my aim became to squeeze in as many games as possible. RPGs became an exercise in finding the shortest possible distance between multiple points, avoiding side quests like the plague. FPSs were pacifist flourishes of legging it through enemies and on to the next checkpoint. Racing games were largely unaffected. But God of War creates an environment that encourages exploration in a way that isn’t always subtle—your Son piping up with variations of ‘Let’s have an explore, father’ when you hop in a boat comes to mind—but is singularly effective. It is ingrained into the game’s core. Its Nordic mythos is brought to life in the awestruck musings of Atreus, an enthusiastic child taught in the ways of the Gods but with much to learn, and the tales of Mimir, a God who flits between chippy joviality and, particularly when discussing the likes of Odin and Thor, the sombre tones of one who has seen too much. 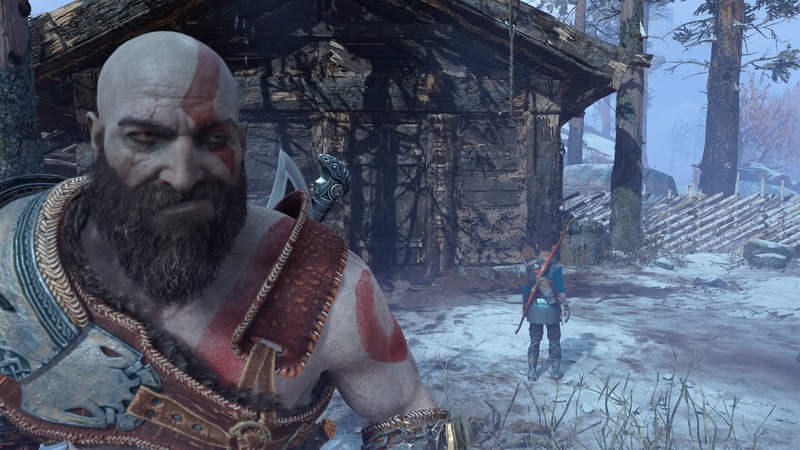 Kratos, disinterested and often abrasive when offered diversionary titbits of wisdom, acts as a perfect vehicle for the player’s engagement in these stories, and how much they are willing to invest in seeking them out. 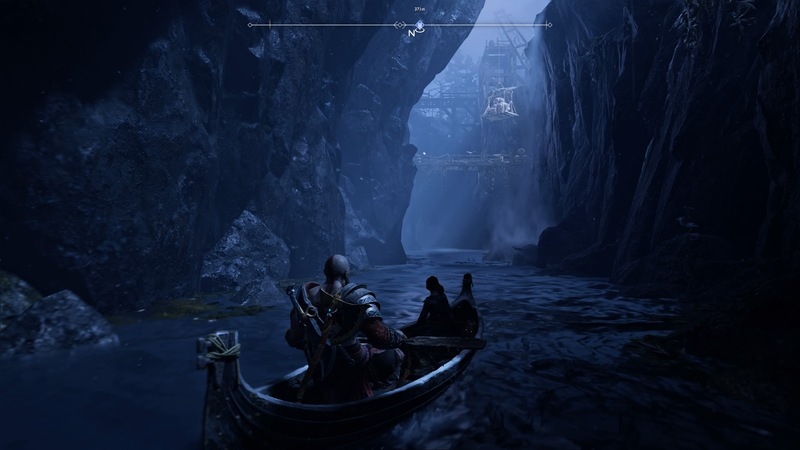 We can stay disengaged like Kratos, with our eyes fixed on the end, or we can follow the whims of Atreus and seek out the mysteries of this fantastical world. The relationship between father and son is a driving force behind the story in general, but what is really striking is how it also reflects the duality of the player. And at no point is that more pronounced than when this dynamic is flipped in the pivotal moment of God of War. After learning that he is a God, Atreus takes the news far too well. Arrogance boils to the surface, he begins to make brash decisions and, most strikingly, he becomes disinterested in the world and those around him, far beyond anything Kratos exhibited. I was struck by how unsettling this portion of the game was. There’s no great catalyst to the tension; it builds slowly as Atreus comes to grips with his newly-discovered Godhood and the powers that imbues. Nor is there any great stand-off or set piece as a result of the tension. Things remain terse between Kratos and Atreus with muttered asides rather than shouts and lengthy excoriations. But when Atreus once more meets with Sindri and is asked for help, he derides the dwarf, mocking his distress and stating that he, a God, has more important business. 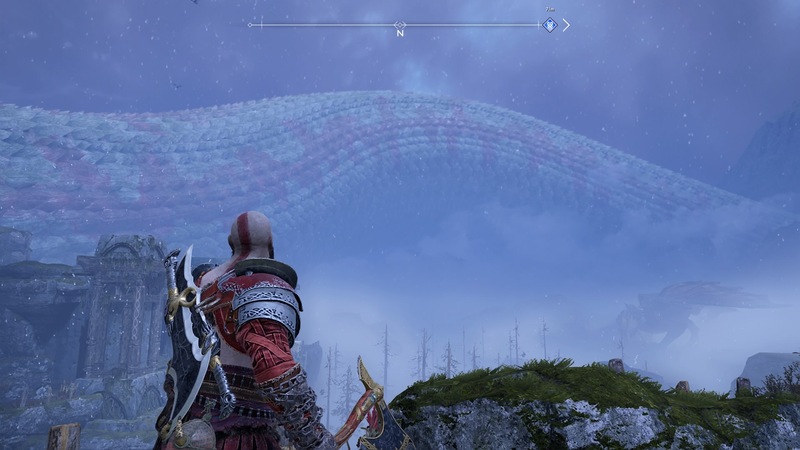 This reflects the disaffected stance that Kratos had taken up to this point, only wanting to diverge from the path when it was strictly to the benefit of the journey. It was a lack of compassion which threw into question the point of all of this—did Kratos truly want Atreus to be better? Is he so far gone, so monstrous, that he simply cannot follow his own advice? There is a theme of a father not allowing his own mistakes to become his son’s running throughout God of War, and at no point is it so starkly displayed as when Atreus grapples with Godhood. And so it is with my aversion to exploration. For too long I was avoiding all but the necessary, trying to work through a games backlog even to the detriment of the enjoyment of those games. And that’s really the point. 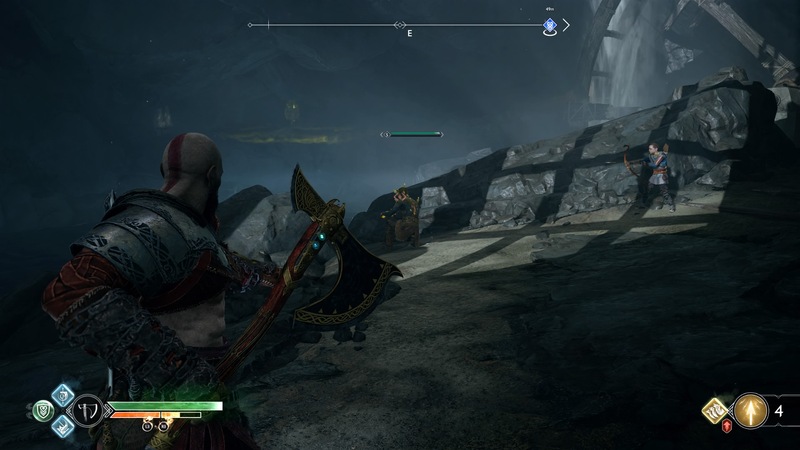 This section in God of War was included as a narrative device to highlight the hypocrisy of Kratos, the impressionability of Atreus, and the actions that make up what it means to be a God—but it also serves a very specific gameplay purpose. It frames how we, as the powerful, view our responsibilities to the game’s world. 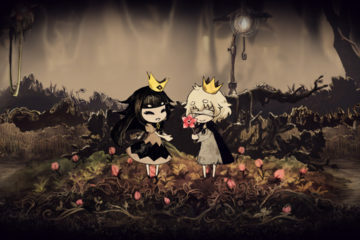 Exploration—encompassing the world, side quests and ‘non-essential’ characters—is something that video games are uniquely positioned to encourage. It is the truest form of escapism that the medium has. It contains all the moments that stick with us—the little discoveries that we will so often recall later when reminiscing, over and above the plot or the combat or anything else. And too often we can’t find the time. But maybe we should start.